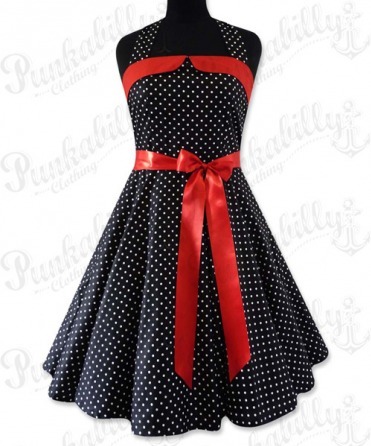 The good old black, white and red combination looks perfect on this swing dress. 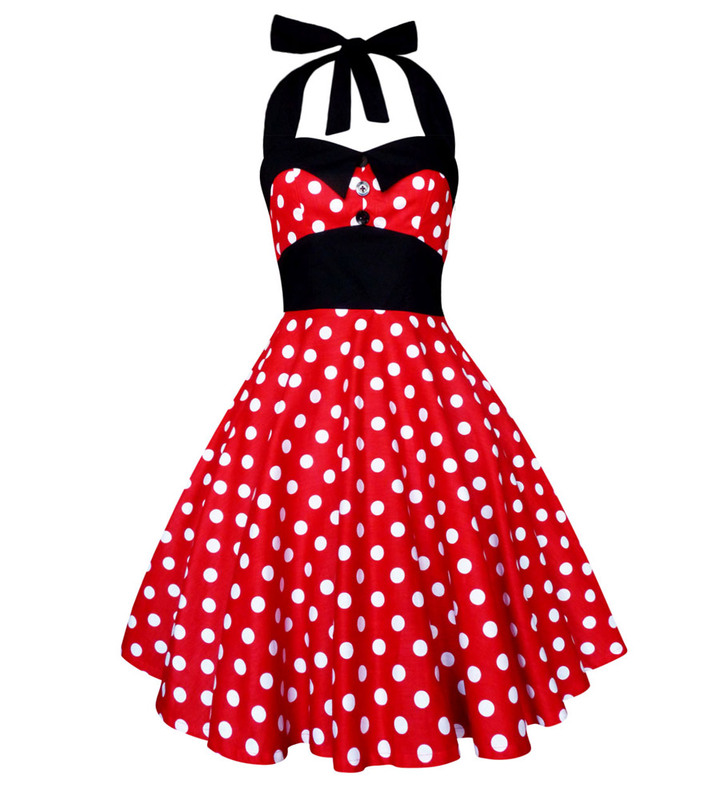 Make your formal nights really special and taste the pin up spirit of 50’s. 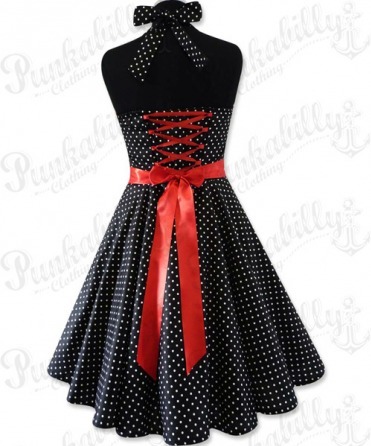 This black model with white polka dots, red belt and a corset rope is here to make it all happen. 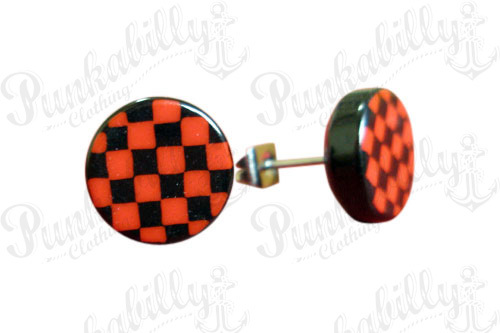 Classic never fails! 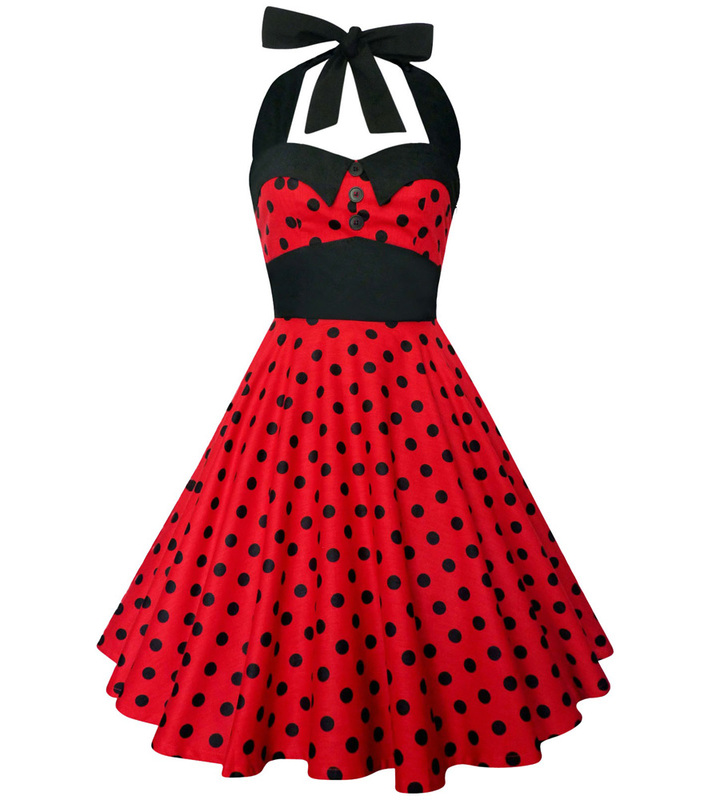 Using this dress for my maid of honor in my rockabilly themed wedding. Very well made!! !